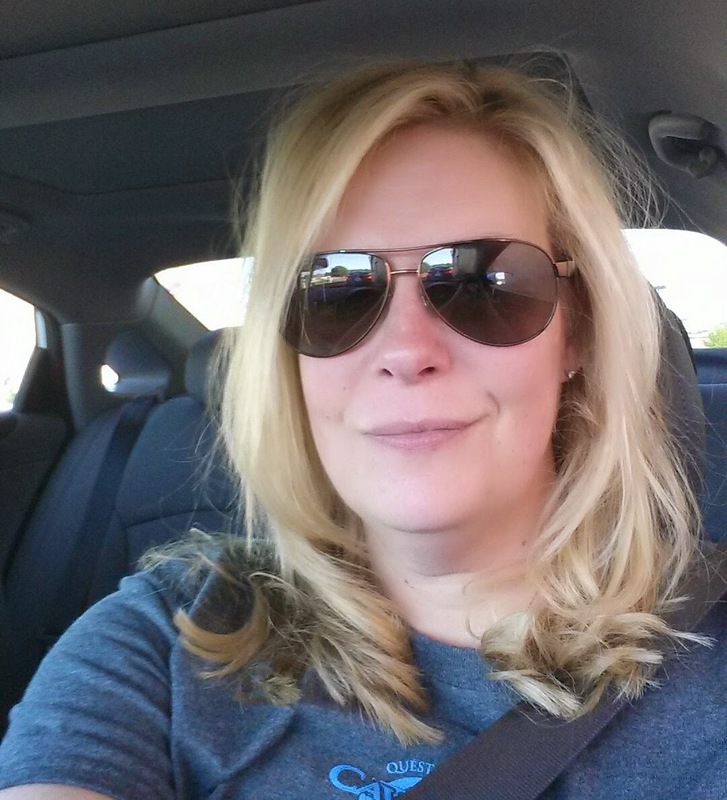 Last Weekend in April…Where Did It Go? The time is flying by it seems! I can't believe we just had our last weekend in April. What better way to end the last weekend of the month than spending time with friends you haven't seen in 4 years! Got my hair did! I just love going to my hair dressers and getting beautified. No more dark roots! What, you think this blonde is natural? Kinda. It is more of a dishwater blonde. As I age it gets darker and darker, so we go lighter and lighter! 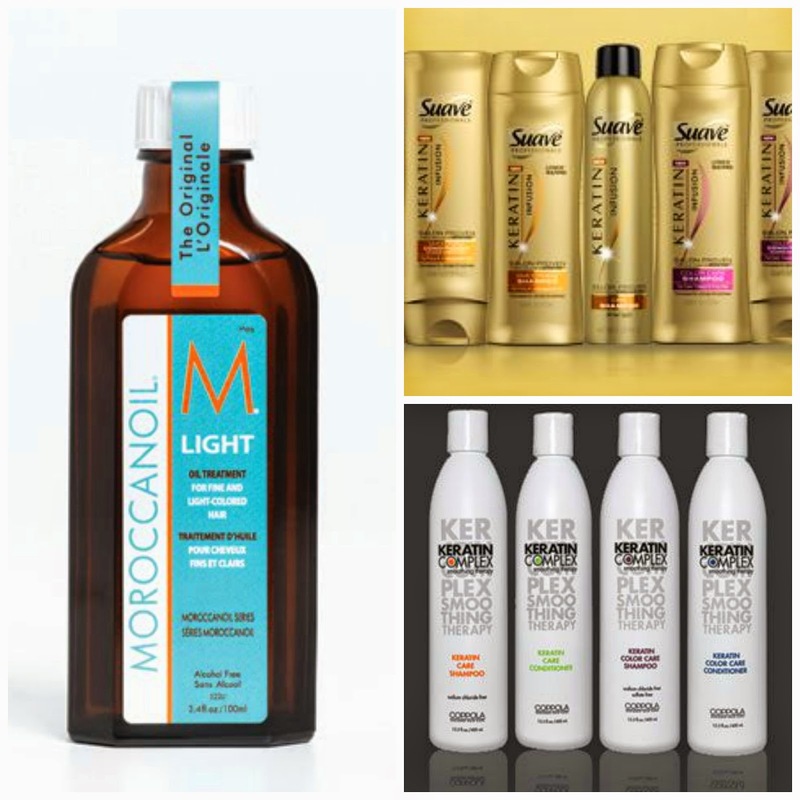 The key to keeping your hair healthy when coloring it…Moroccan Oil and Keratin shampoo. I always use Moroccan oil, but change up my keratin shampoo. Another key is not to always use keratin shampoo. You need to give your hair a break and use your normal shampoo in between. 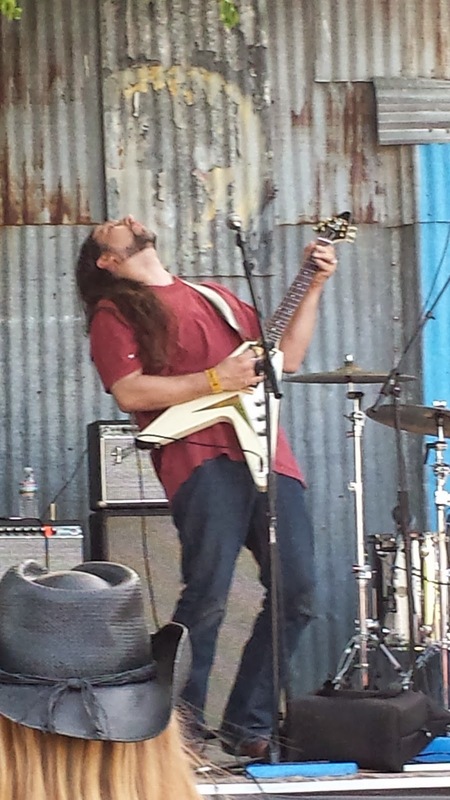 Here are some I have been known to rock. 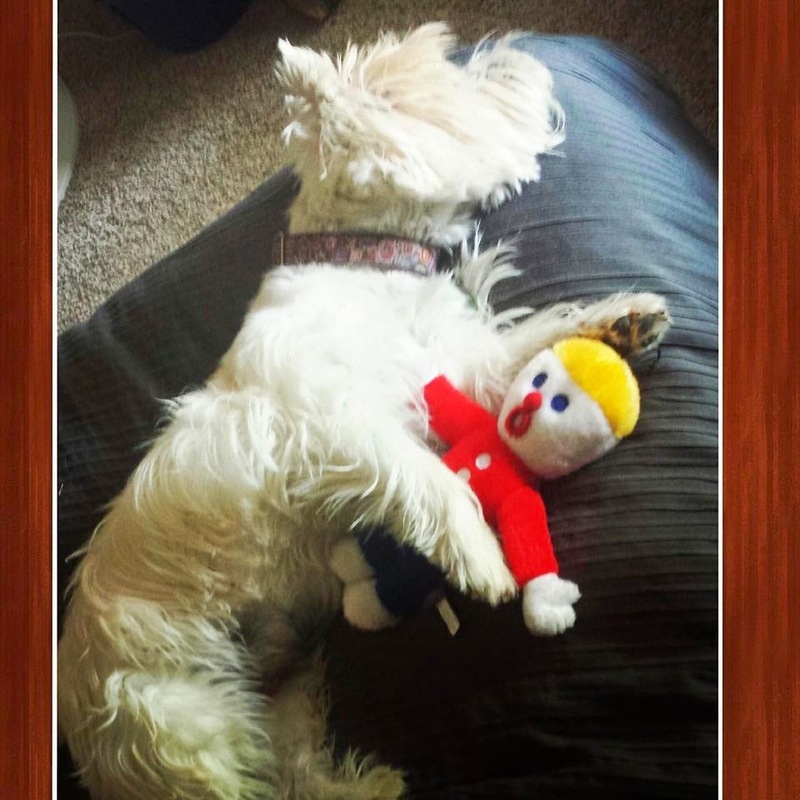 Ahhh, a day of relaxing…until Gavin found Mr. Bill. Ohhhh Noooo! I can't believe LT bought this for Gavin. We have been having fun playing with it. Gavin gets all excited when he hears Mr. Bill. Heck, that dog even found where the "squeaker" is. Now, out of nowhere, we will here "Oh Noooo!' and just start laughing! Gavin even had to sleep with him! Spoiled rotton is what he is! We had threatening weather all weekend and then BOOM! It went north and east of us! It made for a perfect outdoor concert. I feel bad for the nasty storms that blew up tornados in the states east of us, but at the same time thankful it passed us. 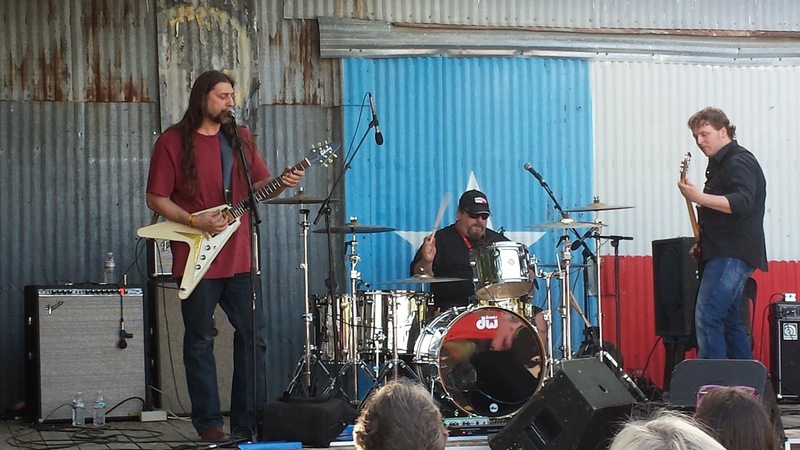 Love the Flying V guitar! The best thing about Sunday was LT got to catch up with Robert! They knew each other in high school and had a blast reminiscing. It gave me a glimpse into what LT was like growing up. Yikes! All I can say is boys will be boys. Even though we really didn't do much, it was an awesome weekend. It was great to get out, see old friends, meet new ones and enjoy time together. Now if the time could slow down just a little, well, maybe after school is out then it can slow down during the summer (even thought I will be working summer school)! 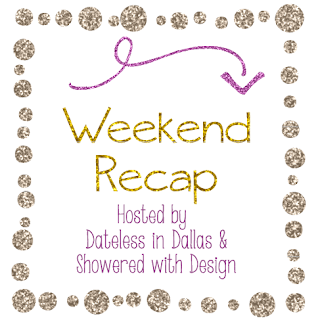 Just like last week, I am linking up with Dateless in Dallas and Showered with Design.